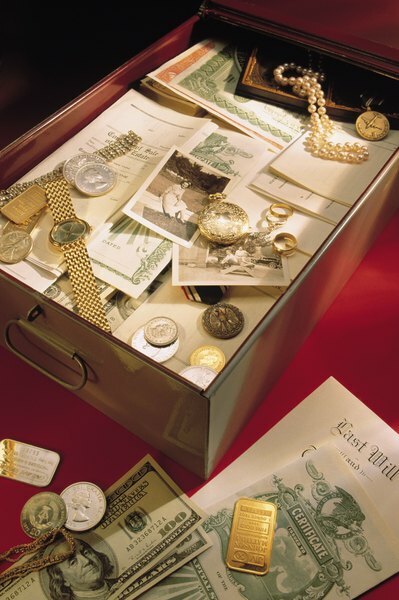 Forgotten safe-deposit boxes are often the reason for lost stock certificates. 1. How Can I Check My Stock Accounts? Whether you have misplaced or accidentally destroyed a certificate for stock you know you own, or are dealing with an estate that you believe owned shares of stock that can't be located, a few steps may lead to recovery of the missing shares. The Social Security number or tax ID and name of the registered owner – and in some cases the legal authority to inquire into another individual's account – can be used to research those shares with a broker, the issuing company or its transfer agent. An issuing broker or transfer agent can help you locate stock shares that you have lost. You will need your Social Security number or tax ID to begin this process. Many people prefer to take delivery of and hold their stock certificates – a practice that has its advantages; the company knows how to reach you, and you will receive all company reports directly. You could also find it easier to put up your stocks as collateral on a loan when you are in possession of a physical certificate. However, natural disasters, fires and forgetfulness result in missing certificates. To replace them, call the investor relations department of the issuing company to find the name of the transfer agent for that company's stock. The transfer agent maintains the record of all stock issued and to whom, and can send you new share certificates after you have filled out certain legal forms and paid the required fees. Each transfer agent has a slightly different procedure, but each requires a legal testament that you lost the certificate, along with the purchase of a surety bond to protect against fraud if someone else attempts to sell the original certificates. Sometimes you know a deceased relative held a position in a stock he swore never to sell, but you can't find the certificates or evidence of a current position in that stock at his brokerage firm. If your lost shares are long-term stock holdings, check to see if the company you remember was acquired or changed its name. If you are missing certificates, contact the issuing company, transfer agent or the stock brokerage where the shares were bought. Brokerage firms can research the history of shares traded in the account and certificates you think are lost, and they can also deal with the transfer agent on your behalf. Many brokerage firms have merged or gone out of business, but any active accounts -- those containing shares or recent activity – should be sending statements. If there are no account statements or other communications, contact the Financial Industry Regulatory Authority or the Securities and Exchange Commission for information on what happened to the brokerage firm's customer accounts. A person moving from one town to another may forget to close a safe deposit box containing stock certificates. If the bank is unable to locate the client, the safe-deposit box is cleaned out and the contents becomes the property of the state through a process called escheatment. Each state has different rules regarding the recoverability of escheated property within specified time limits. Companies that specialize in researching and recovering forgotten accounts can assist you in your search. All you need is the Social Security number or tax ID of the person who owned the stocks. If the certificates are found, you might be able to have them re-issued by the transfer agent. Is the Stock Certificate Valuable? If you do find lost shares, consider their actual market value before making a claim. The fees involved in claiming the property and having new certificates issued might be greater than the value of the stock position, particularly if the number of shares involved is fewer than 100. For instance, if you need to have paper certificates re-issued, your transfer agent or broker can charge anywhere from $50 to $500 to issue paper certificates for your shares. NAUPA: What Is Unclaimed Property? Are Non-Cumulative Preference Shares Redeemable? Why Are Stock Prices Considered Log-normal?